Francium (Fr). 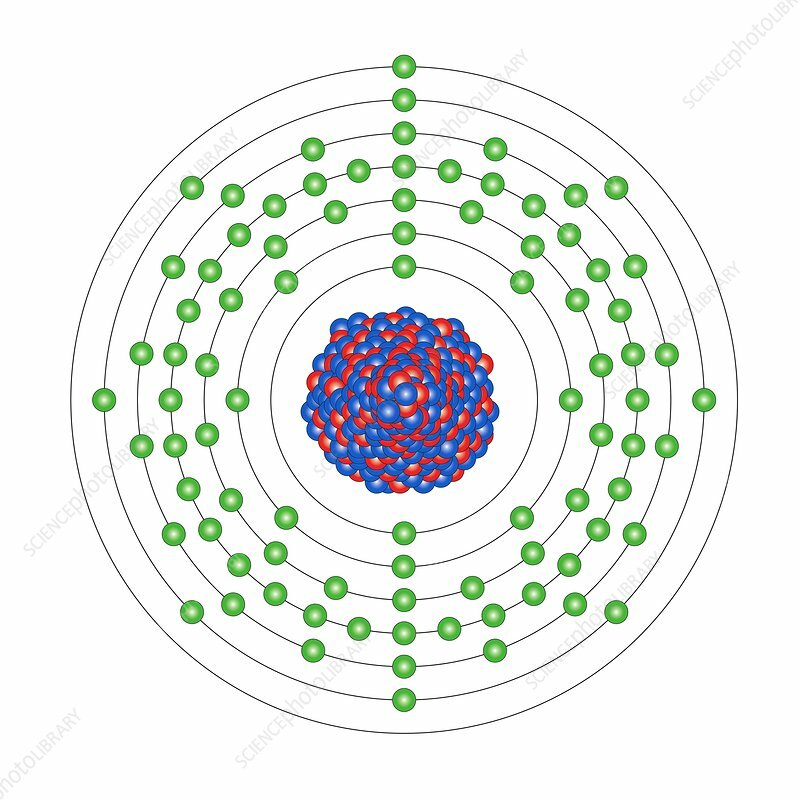 Diagram of the nuclear composition and electron configuration of an atom of francium-223 (atomic number: 87), the most stable isotope of this element. The nucleus consists of 87 protons (red) and 136 neutrons (blue). Francium is a radioactive alkali metal in group 1, period 7, and the s-block of the periodic table. Named after France, it was discovered in 1939 by Marguerite Perey. Francium-223 forms in uranium and thorium ores. It has a half-life of 22 minutes, emitting a beta or alpha particle from its unstable nucleus.